Experience music, dance, and the performing arts this summer at Colburn through camps, workshops, and our first annual Open House. School’s out in a couple months, which makes summer the perfect time to grow as an artist, hone a particular skill, and have fun while doing it. At Colburn, performing arts education is a year-round experience. This summer, we’ll continue to provide world class instruction by offering brand new summer camps, workshops, and intensives through the Community School of Performing Arts and the Trudl Zipper Dance Institute. These programs aim to broaden artistic horizons and develop young artists’ skills. Every child will get the chance to learn from talented instructors and collaborate with their peers. Summer at Colburn is representative of the diverse range of programming at Colburn. Music students can explore chamber music, orchestra, percussion, jazz, piano, and the performing arts. Dance students can continue to grow in ballet, musical theater, modern dance, and tap. Those looking to explore a wide range of disciplines have options in either music or dance. Students of any experience level can sing, act, and dance at the Colburn Performing Arts Camp. A typical day will include choir rehearsals and classes in drama, musicianship, and electives. During the Summer Dance Intensive, intermediate beginner level dancers can study all of Colburn’s dance genres. For artists looking to concentrate on one area, Colburn offers challenging and intensive programs taught by renowned faculty members. This year, the Community School is offering programs for orchestra, jazz, piano, percussion, and chamber. Beyond workshops in ballet, musical theater, tap, and modern, the Trudl Zipper Dance Institute will once more offer the Summer Nutcracker Workshop. The Nutcracker Workshop prepares our young dancers to audition for Miami City Ballet’s performances of George Balanchine’s The Nutcracker at The Music Center this holiday season. This summer, the Community School, joined by the Trudl Zipper Dance Institute, is also proud to announce its first annual Open House. 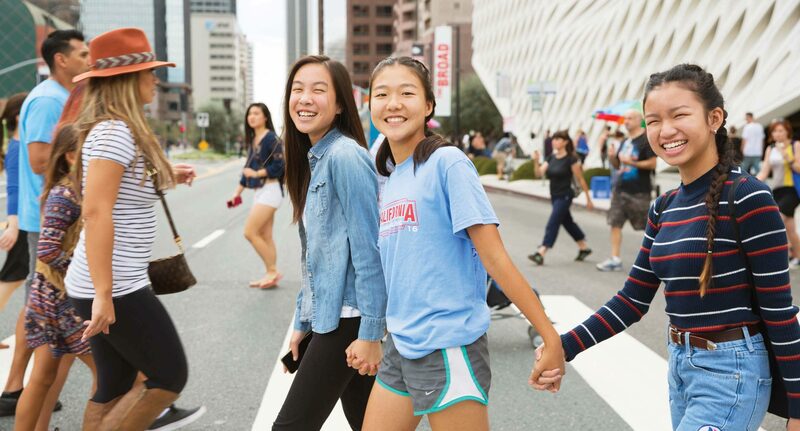 From 10 am–4 pm on June 1, guests can wander through Colburn’s beautiful campus in downtown LA, take a sample class, listen to student performances, visit the instrument “petting zoo,” and experience a preview of summer camps. The Open House aims to encapsulate all of the Community School’s offerings and welcome our neighbors on campus to engage with programs, staff, and faculty. Differing from the other departments at Colburn, the Community School serves a diverse student body, ranging from infants to adults in myriad different disciplines, including drama and music. Find out more about our summer offerings, including the Open House, music and dance camps, and more.